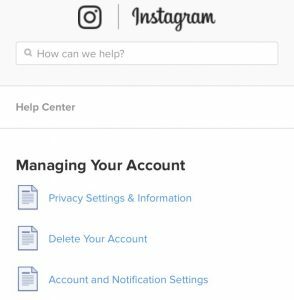 Looking to delete your Instagram account but not sure how to do it? Instagram is one of the most popular social networks With a staggering 800 million users globally. It’s safe to say that Instagram and social media as a whole has completely revolutionized the society we live in, the way we communicate and share information with each other. Instagram is with its large number of users one of the most popular social media platforms of this era, so clearly, people seem to find value in the platform. But the truth is that not everyone does. Or, there might be other reasons that you want to delete your Instagram account. Maybe you’ve given Instagram a shot but found that it just wasn’t your cup of tea to share photos of your life or looking at what other people are up to, and now, want to delete your Instagram account that you’ve created to remove the traces that will otherwise be left for the world to see for a long time to come. Maybe you’ve created multiple Instagram account and aren’t using some and want to clean your portfolio by deleting your Instagram account. Or maybe, you don’t want to delete your Instagram account permanently if you change your mind and want to get back to it. it might also be the case that you’re just looking to take a break from the platform, and if that is the case, deleting your Instagram account is clearly not the ideal solution. This is why, in this post, we’ll also go through how you can temporarily deactivate your Instagram account as opposed to deleting it permanently. While it might seem impossible to do these things when inside of the app, don’t worry, because there are several methods to delete your Instagram account, and in this post, we’ll go through each and every one of them step-by-step. Without further ado, let’s dig into the several ways on how you can delete your Instagram account. Open the Instagram app. This will take you to the home page. Tap the three dots icon in your profile. The option is located in the top right corner. This will take you to the Instagram settings. 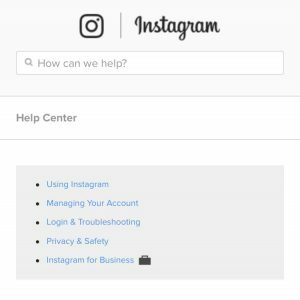 Scroll down until you find ”Instagram help centre”. This option is almost at the very bottom of the page under the title ”Support”. Now, choose ”delete your account”. Tap ”How do I delete my account” in the drop-down menu. 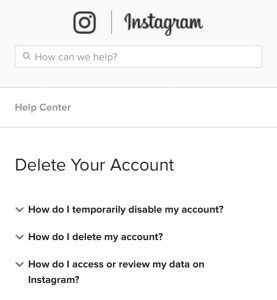 This will expand the text and give you more information about how to delete your Instagram account. Now, tap the link with the anchor text ”the Delete your Account page”. This will take you to a new page which prompts you to log in to your account. Log in to your account by typing in your username or email address, then type in your password. Fill in a reason why you want to delete your Instagram account. To do this, tap the drop-menu and select the reason. If you don’t want to state a reason or, you can choose ”Something else”. Now, re-enter your password by typing in your password in the text field one more time. This will confirm that you want to permanently delete your Instagram account. Lastly, tap the big button which says ”Permanently delete my account” This will. This will open a pop-up window which asks you to confirm. Your Instagram account has been deleted. 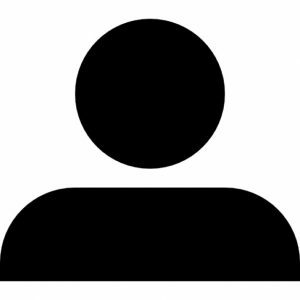 If you wish to delete another account, click on your username at the top right of the page Remove your account and select Sign out. Log in to on to the account you want to remove, and then follow the directions above. Click the profile icon in the top right corner. Click ”Edit profile” which can be found in your profile. Scroll down to the bottom of the page where you’ll find ”Temporarily deactivate my account”. Now, you’ll have a URL in your browser. Tap the URL and change ”Temporary” to to ”permanent”. This will take you to the page which I linked above. Here, choose the reason you are deleting your Instagram account. Tap The red button at the bottom of the page saying ”Permanently delete my account”. What happens when you delete your Instagram account? When you delete your account, all the photos, videos, comments, likes, and followers disappear from the platform and you will never be able to recover them. Of course, nothing is ever deleted from the web, but you yourself will never be able to retrieve this information again. 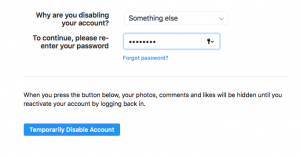 For security reasons, Instagram cannot delete an account for you. Instead, you have to follow the steps above. While everything should be removed directly, it might take a short while until all data from your account is deleted. Normally though, it disappears instantly. 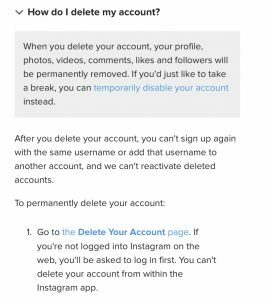 Note that as opposed to deleting your Instagram account, when temporarily deactivating it, you can only do it on your desktop on Instagram’s website. Go to www.instagram.com/accounts/remove/request/temporary/ and log in to your account if you haven’t done so. Fill in the reason to why you are disabling your account from the drop-down menu. 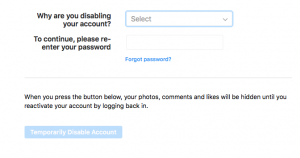 If you want to reactivate your Instagram account, all you need to do is log into it. When you log in, everything will be as usual and nothing will have disappeared, but during the time your account is deactivated, your account will be hidden as well as all the content and data related to it, which means people won’t be able to find it. Note that you can only disable/deactivate your account once a week. Hope you found this guide helpful. If you have any questions, don’t hesitate to ask them below!